The surviving members of '90s R&B girl group TLC, Tionne “T-Boz” Watkins and Rozanda “Chili” Thomas, have announced plans to reunite at this summer's VH1 Mixtape Festival, Consequence of Sound reports. This marks the first of a series of performances that the ladies have lined up for the summer as they prepare for a full-scale reunion tour. 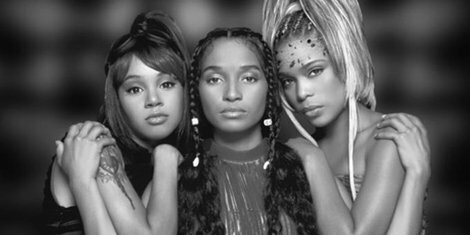 In a report made by TMZ last year, the group's late member Lisa "Left Eye" Lopes will also be making a special appearance, "projecting her image on a big screen and working her vocals into the live performances." A fatal car accident took Left Eye's life in 2002. The Mixtape Festival, which also features other '90s acts like Hanson and Boyz II Men, will take place on July 26-27 in Hersheypark, PA. Click here for ticket info.